When the housing bubble burst, many Americans found themselves underwater or, in other words, with a home worth significantly less than what they owed on their mortgages. But according to recent data, more and more Americans are finding themselves in the opposite situation—with a home worth far more than what they owe on their mortgage. According to the most recent Equity Report from ATTOM Data Solutions, which curates a well-known nationwide property database, as of Q2 2018, nearly 14 million properties in the US are now what's known as "equity rich"—meaning the balance of loans on the property is worth 50% or less than the current estimated market value. That's approximately one in four homes in the US that currently holds a mortgage! But what, exactly, is the advantage of being "equity rich"? 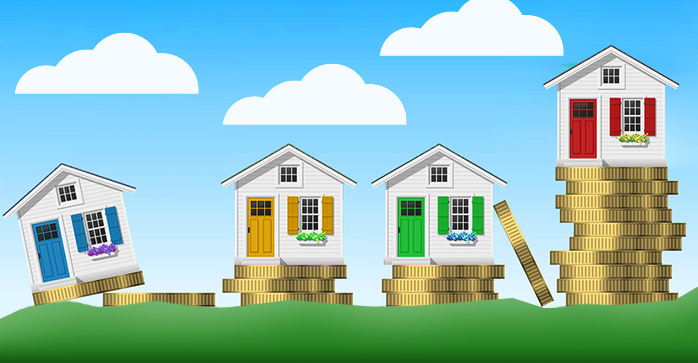 Homeowners that are equity rich can sell their homes and walk away with a significant chunk of cash in their pockets—cash they can then use to make a down payment on a new property. If you've been thinking about selling your home and upgrading to a larger and/or pricier property, check the balance on your mortgage against the current market value. If you're one of the equity rich, you can use that equity to get into the home of your dreams. Newer PostNational Foreclosure Rates in the US to Pre-Crisis Levels.